Hohner Guitaret? WTF - never heard of that before - it's cool !! 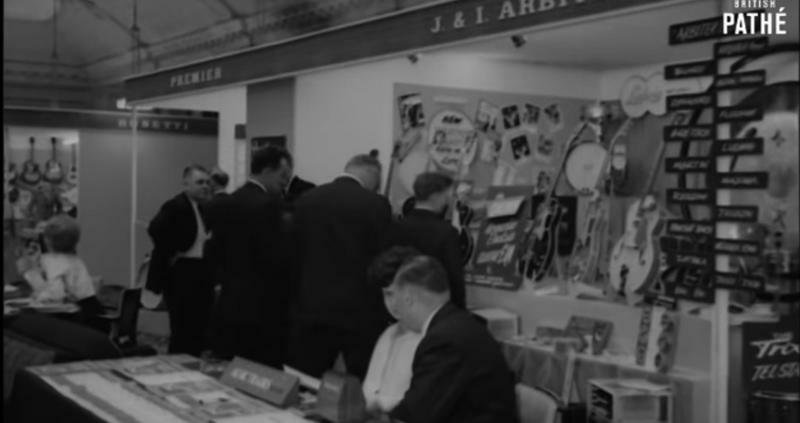 British Musical Instruments Trade Fair from 1963 !!! Spot the Guitaret !!! Re: Hohner Guitaret? WTF - never heard of that before - it's cool !! those things sell for loads of money...I don't get it! Very cool, but it's basically a tiny Hohner Cembalet, I think. Interesting footage, I was looking out for the Hohner guitars made by Fenton Weill, but their stall looked to be full of Kays! Wonder if they just imported them or sold them under the Hohner logo. Also cool to see a just redesigned Vox Phantom walking towards the camera!